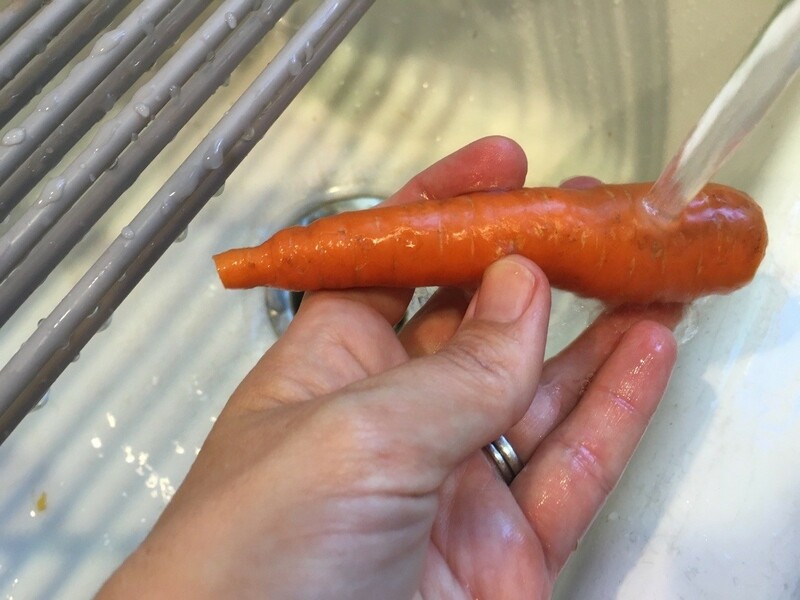 I bought a bunch of carrots at the farmers market and wasn't planning to use them all right away. 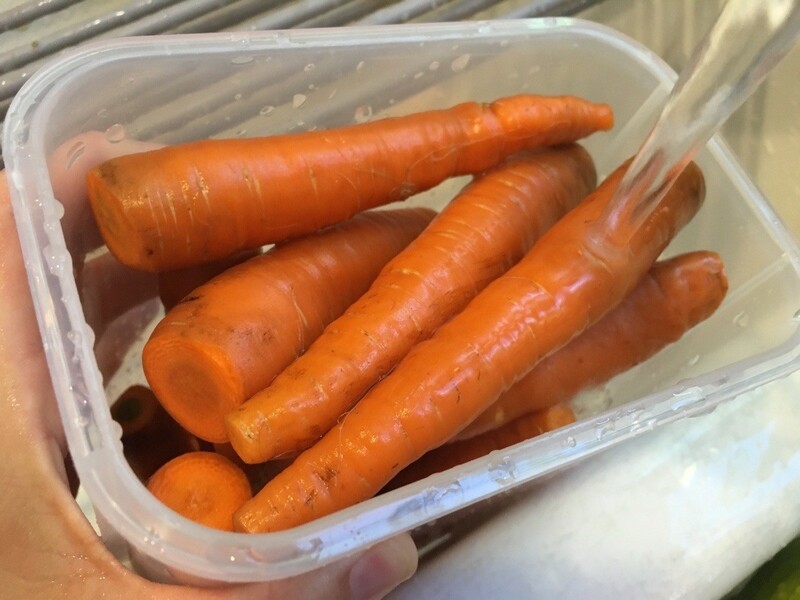 Storing fresh carrots in cold water is a great way to keep them crisp for a long time. Start by trimming off the greens. 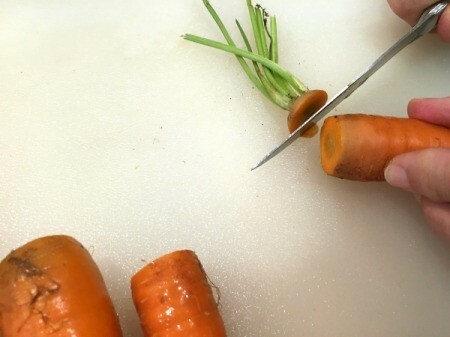 You can also trim off the two ends, if desired. 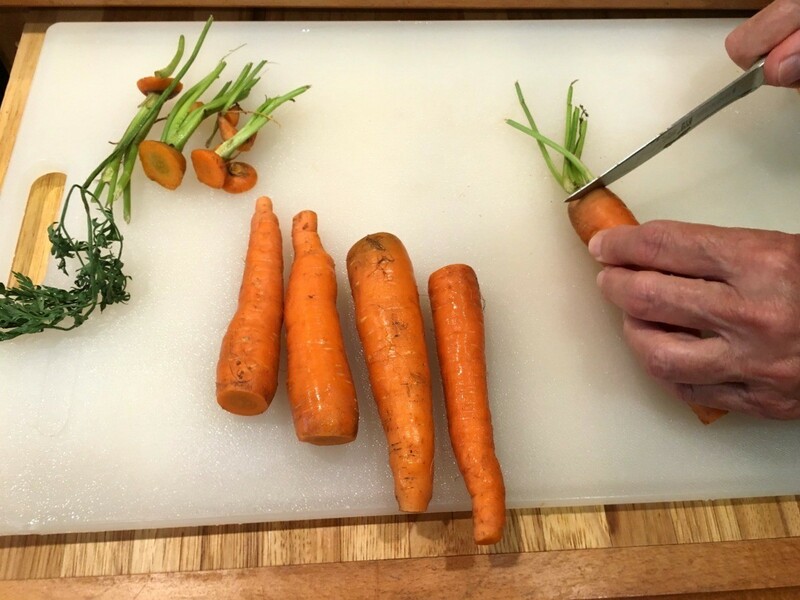 Wash and scrub the carrots with a brush to remove any dirt. Place the carrots into the container and cover with cold water. 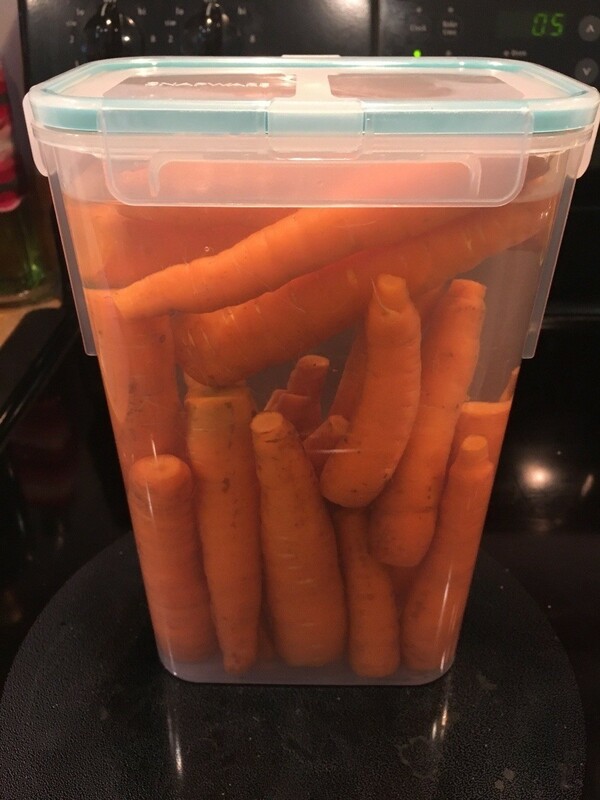 Put the lid on and store them in the refrigerator. Replace the water every 3-4 days to keep the fresh and crunchy.